Chess is a very complex game with many rules and millions of possibilities. It teaches children many fundamentals, like problem-solving, focus, patience and follow-through, helps to train some academic skills, while still being a very social game. Gender equality is a fundamental foundation for a peaceful, prosperous and feasible world. Providing women and girls with equivalent access to health care, education, decent work, and representation in political and economic decision-making processes will fuel sustainable economies and benefit societies and humanity at large. Stephen Gary Wozniak also nicknamed “The Woz”, is an American inventor and technology entrepreneur who co-founded Apple Inc. along with Steve Jobs. 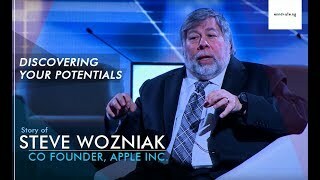 “The Woz” talks about his early days of computing; the challenges and passion for electronics that made him who he is today.